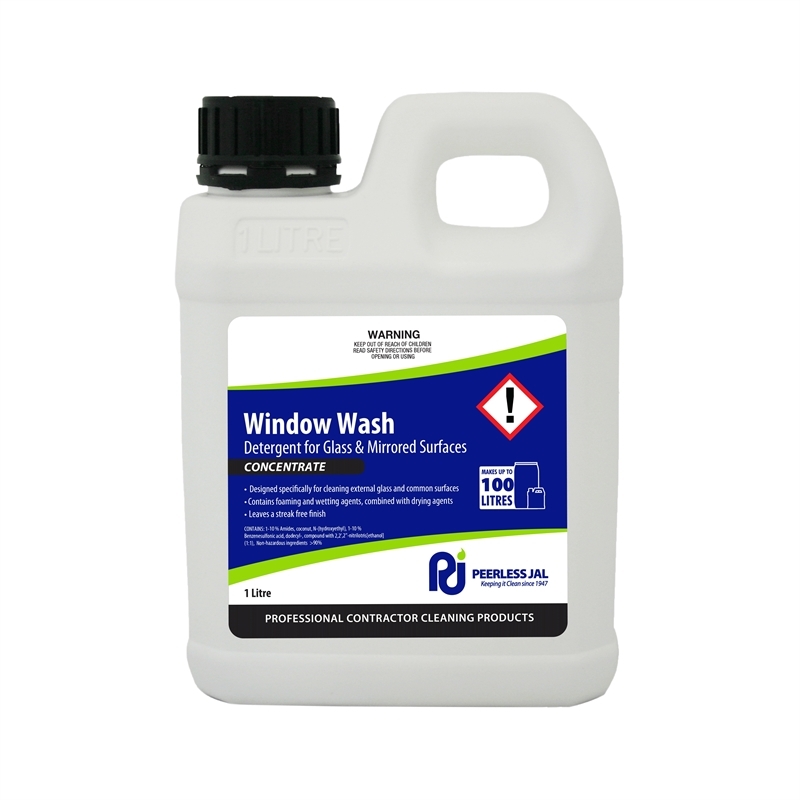 Peerless Window Wash concentrate is an anionic detergent incorporating foaming agents, wetting agents, and drying agents to facilitate easy removal of soils, finger marks and dirt commonly found on glass and mirrored surfaces. This product is designed to be used with all types of window washing equipment and is ideal for professional use, providing effective and economical cleaning. For effective cleaning of windows and other glazed surfaces. 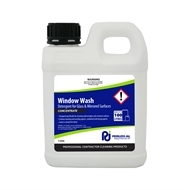 Dilute Window Wash cleaning concentrate 1 :100 parts water (10ml/ litre). Wash glass surfaces with applicator, brush or broom, working over the whole glass area. Squeegee clean.